Hearty taste similar to buckwheat. 1g Omega-3 per serving. Pancakes are back on the breakfast menu! Just add an egg and oil (coconut, butter, ghee) and milk (raw cow, goat, coconut, home-made almond) and go. Each serving makes three to four 4" pancakes and they are very filling. 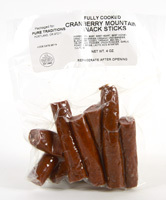 Product comes packaged in a sturdy, stand up resealable bag. Several "paleo" pancake mixes have come along since this first to market mix was created by "On The Go Paleo" in 2013. But this one is our favorite as it uses high quality ingredients which provide seriously nutrient-dense pancakes that taste great.